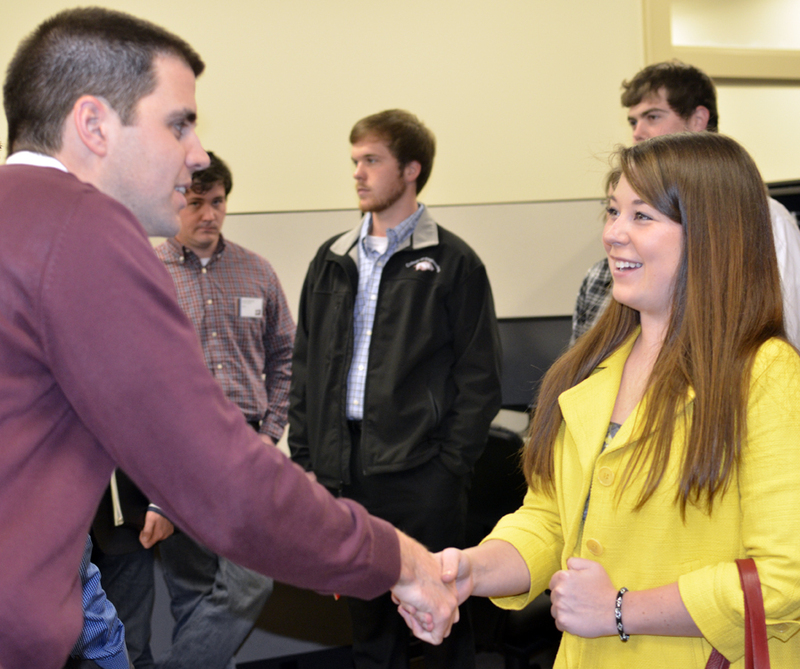 More than 40 University of Arkansas students attended an engineering open house at Garver's Fayetteville office. Garver interacted with senior-level civil, environmental, electrical, and mechanical students and introduced them to a variety of projects and services. The students also toured the specialized Water Design Center and witnessed how Garver's engineering disciplines work together on projects. "This non-traditional corporate information session allowed our students to learn about career avenues offered by a consulting engineering firm," said Michelle Strong, UofA Director of Student Placement and Employer Relations. "It also helped our students get a feel for the corporate culture." Two civil engineering students explained their appreciation for the event. "I'm familiar with Garver because I have classes with many of your current interns," said Sara Johnson. "However, after attending the open house and hearing the presentations, my eyes were really opened to the possibilities an opportunity at Garver will give me." "I enjoyed the chance to see the type of projects that Garver does and hear directly from engineers who worked on them," said Jacob White. "The open house was a unique out-of-the-classroom learning opportunity."